Professor Oded Shoseyov from the Robert H. Smith Institute of Plant Sciences and Genetics in Agriculture and Professor Ido Braslavsky, Director, Inter-Faculty Biotechnology Program and Head of B.S. Program at the Institute of Biochemistry, Food Science, and Nutrition, both at the Robert H. Smith Faculty of Agriculture, Food, and Environment, of the Hebrew University of Jerusalem, developed a novel platform, based on nano-cellulose, that will enable the 3D printing of personalized food, according to pre-defined criteria. The novel solution can serve a variety of markets and populations, including the gluten-free market, meat substitutes, the vegetarian and vegan markets, low-calorie diets, diets for people with diabetes, for athletes and more. The self-assembly properties of nano-cellulose fibers enable the addition and binding of different food components (proteins, carbohydrates, and fat) as well as the control of food texture. Another aspect of the technology is the ability to cook, bake, fry and grill while printing at the three-dimensional space. At the end of the printing process, the result is a tailored meal with special textures, enabling delivery of nutritional, tasty, low-calorie cooked meals for a unique gastronomical experience. The technology will be presented by Professor Ido Braslavsky at the 3D Printing and Beyond: Current and Future Trends conference to take place at the Hebrew University on October 25, 2017. 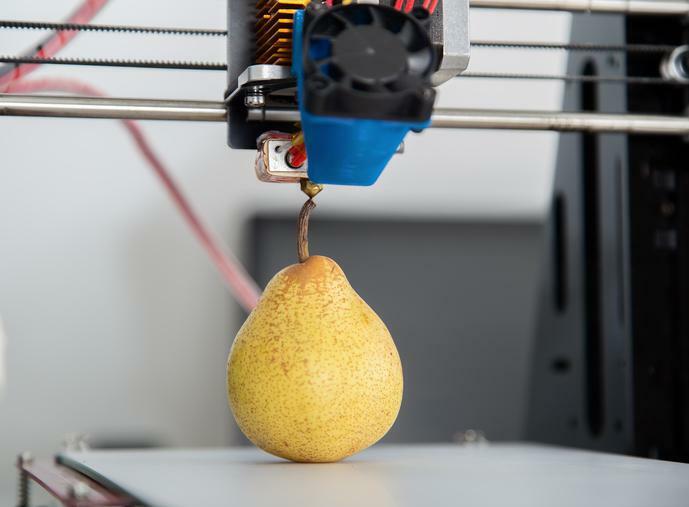 The conference will introduce a variety of breakthrough 3D printing technologies and innovations by Israeli and international experts, from academia and industry. The conference is organized by the 3D & Functional Printing Center at the Hebrew University and Yissum, with the support of The Jerusalem Development Authority, The Ministry of Jerusalem Affairs, and The Jerusalem Municipality.